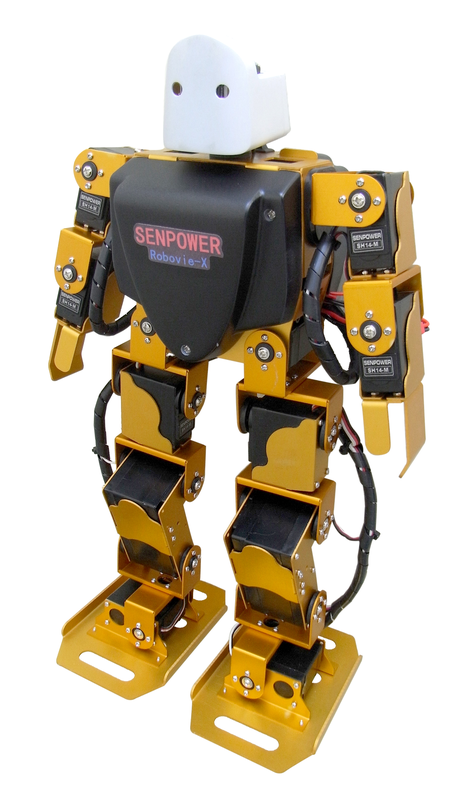 SHR-8S Special Training Hominine Robot is designed as a SENPOWER's Hominine Robot products espicially for the beginner. It is an easy-to-use product for any user with two features, firstly, it is firm in structure, secondary, there is a diagrammatic motion edit user interface for users to compile the robot's program. The Robot adopts a simplifying stucture from Irvine Kinneas Structure, who's main structure is made of soldity metal. The robot has 17 degrees of freedom. The Robot can dominstrate standard and non-standard Irvine Kinneas Walk. 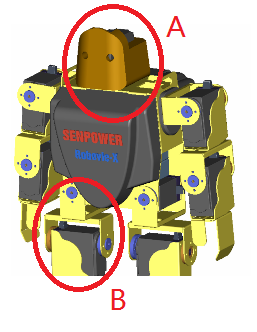 The Robot can dominstrate plenty of hominine movement as push-up, forward roll, backward roll and headstand. SHR-8S Special Training Hominine Robot is best for primary scholar and middle school student. SHR-8S Special Training Hominine Robot is drived by 17 digital servomotor, whose product number is SH15-M, and the weight of servomotor is 56g, size is 40×20×46mm, output torsional force is 14kg.cm(7.4v), Speed is 0.18Sec/60Degree. Using diagrammatic motion edit user interface makes SHR-8S Special Training Hominine Robot be a easy-to-use robot. Using serial port to download movements from computer, can be programed 10 thusandtimes. 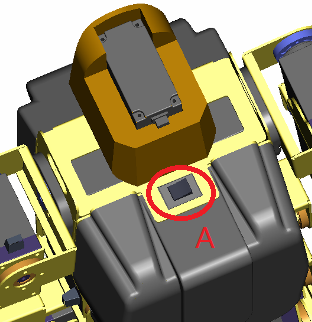 Expert users can put severial additional sensor on the robot, such as luminous intensity sensor, temperature sensor, sound transducer, IR sensor, etc. The robot can worked with a machine vision systom to fit the Robo Cup's subhuman group's demands. The control board with serial number STU-24P is made up of Surface Mount Technology, with a CPU of STC12 seirals, have 24 output port, can drive 24 digital sevomotor in the same time. Easy-to-assemble, usually takes 8 hours to assemble. Material: Case hardening duralumin, can equiped with steel frame structure. Idlet time: 3 hours(with fully charged battery, depends on robot's movements). Size of foot: 110×70×8mm(increasing hollow structure, good for high speed walk). Static equilibrium walking speed: 4.5meters/min. Servo moto control pins: 24. Main control board CPU pins: 32. Wireless remote function: IR remote control, 315MHZ wireless remote control, RS-232 wireless port. Buzzer: One on the main control board. 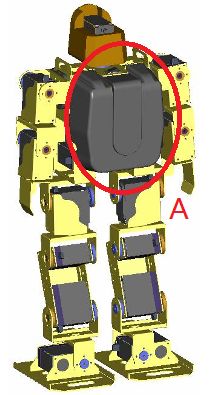 A: In all humanoid robots, the unique design of tilting the shoulder makes the shoulder has a larger and flexible rotation rate. B: Latest design of hip joint, extra wide hip bone spacing, makes walk more smooth. A: Latest design of foot, extra wide foot, walk speed can be more fast. A: Fashionable design of butterfly head, be more close to users. 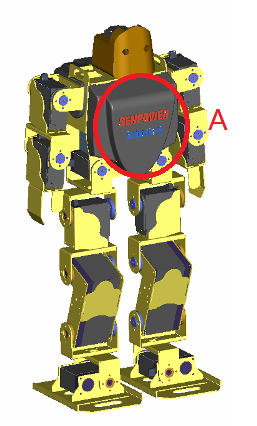 A: Butterfly shape chest, more internal volume, can accommodate a variety of sensors such as 3-axis gyro, 3-axis accelerometer, inertial measurement unit, temperature sensor, humidity sensor, etc. 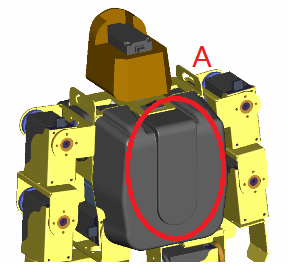 A: Butterfly shape back, more internal volume, can accommodate a variety of user-made PCB, secondary development of user-friendly. 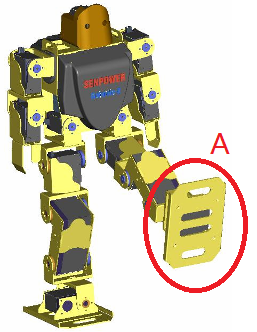 A: Bring back popular brands damping design, makes a solid structure of robot, the robot never fears of falling, will help beginners learn humanoid robot. A: Rocker power switch, ergonomic design, switching frequency over 10 000, easy disassembly, with good feel. 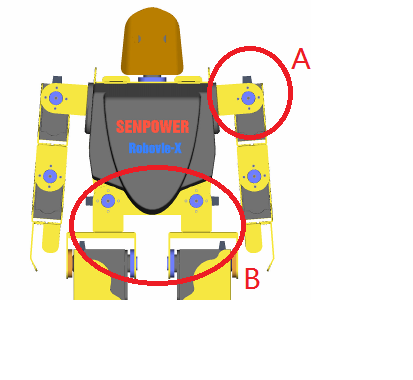 Which remote control for the SHR-8S specifically supporting the use of humanoid robots. Standard civilian infrared, serial code form, key clear, simple, body composition by the 39 independent button. Various control modes can be switched, and has strong anti-collision damping effect. Which remote control can be programmed to control one or more robots, the button used mainly in digital buttons 0,1,2,3,4,5,6,7,8,9, they correspond to the same machine people more actions. Can help users to quickly operate the robot, reduce the difficulty of the operation of the robot. Which remote control with two size 5 battery, battery low-cost, long-lived and maintenance-free. Can control the humanoid robot to complete various actions such as push-ups, forward roll, backward roll, handstand and so on. Installation of special equipment to complete the stairs, visual tracking difficult move.